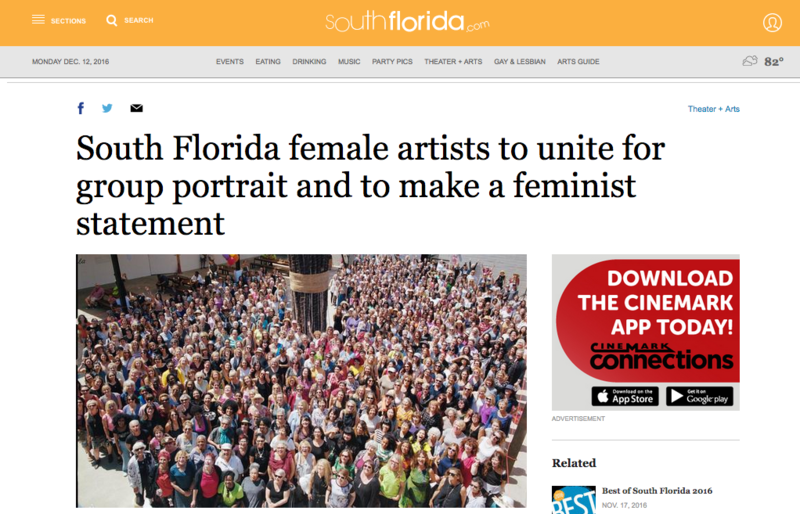 Artist Jane Hart, Pérez Art Museum Miami (PAMM) and Girls' Club are partnering with Los Angeles-based artist Kim Schoenstadt to organize a historic event – Now Be Here #3 – a gathering and photograph of South Florida female and female identifying contemporary artists. This community gathering comes at a time when issues of gender equality and identity are at the forefront of cultural discourse in the United States. 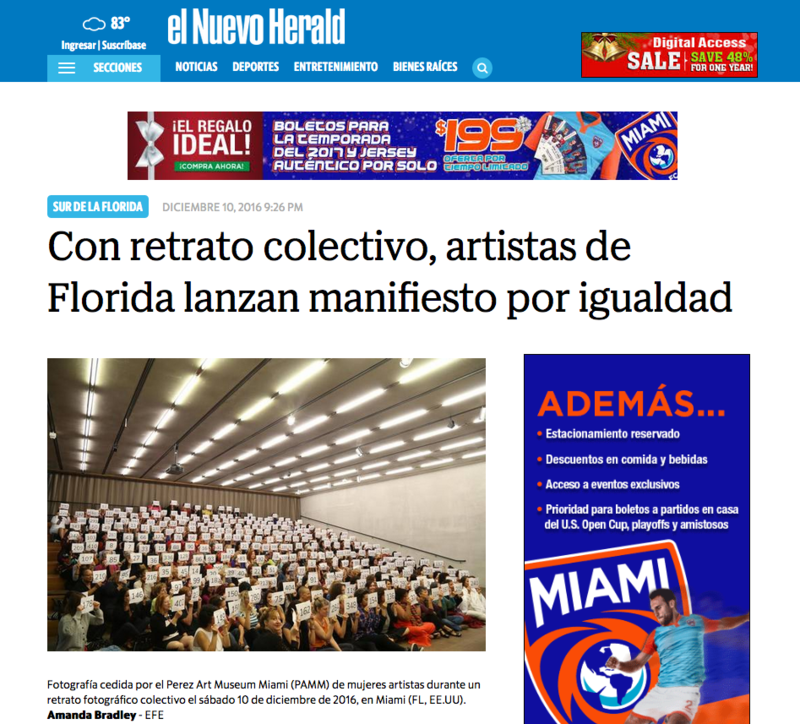 “This event is about showing up and being accounted for as a working artist in the South Florida arts community...It is an idea realized upon the notion of our collective diversity and the inclusiveness of our community. Let’s be together and fully present with one another.” says artist and curator Jane Hart. 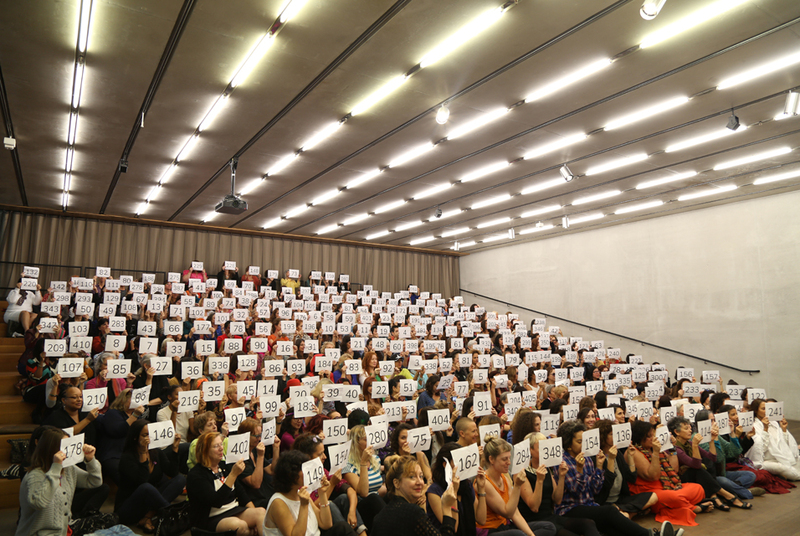 Schoenstadt launched the Now Be Here series this August at Hauser Wirth & Schimmel in Los Angeles, which inspired 733 artists to come together and connect for a historic group photograph documenting their presence. The second gathering, Now Be Here #2, welcomed 600 participants at the Brooklyn Museum. Now Be Here #3, hosted by PAMM, marks the third iteration of this project and will bring together artists from throughout the region. All female-identifying South Florida artists are welcome to RSVP and register. Facebook: The group, “Now Be Here, 2016,” has been created to share research on documentation of different groups at moments in time. Please join the group and share your favorite group photos.